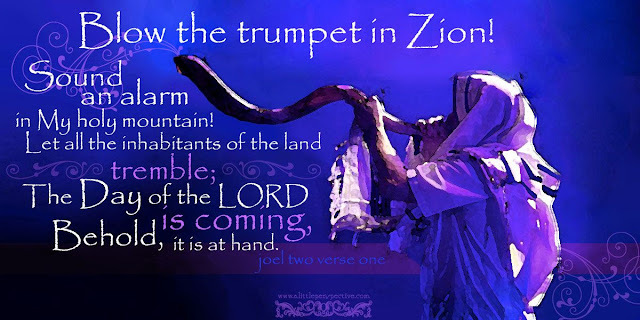 Jewish Rabbis: "Messiah is Coming This Year - We Need To Prepare"
The Messiah is coming! The Messiah is coming! We need to prepare! This announcement reminds me of the watchman's midnight cry - "Here is the bridegroom! Come out to meet him!" (Matthew 25:6). While I wholeheartedly agree that the Messiah is coming and that we need to prepare our hearts and sound the alarm, I'm not quite sure that we are talking about the SAME Messiah. Let's examine who, exactly, the Jewish Rabbis are anticipating to come "this year". Do they have some secret knowledge we should pay attention to? While there have been rumors of the imminent coming of the "Messiah" (Moshiach in Hebrew) for a few years now in Orthodox Jewish circles, what's interesting to me is that this winter has brought with it a rash of Messianic date-setting. Date-setting as in, right away, date-setting. The above quoted conversation comes from a discussion between two well-respected and high positioned Jewish rabbis - Rabbi (Rav) Badani and Rabbi Berland - on January 30, 2019. It occurred during a traditional blessing upon Rabbi Badani's grandchild. The conversation turned to questions about the coming redemption of Israel. During this discussion on redemption, Rabbi Berland made the claim that the Messiah will come immediately after Seder (Passover) night, this year. It would be one thing if Rabbi Berland were the only one making this claim. 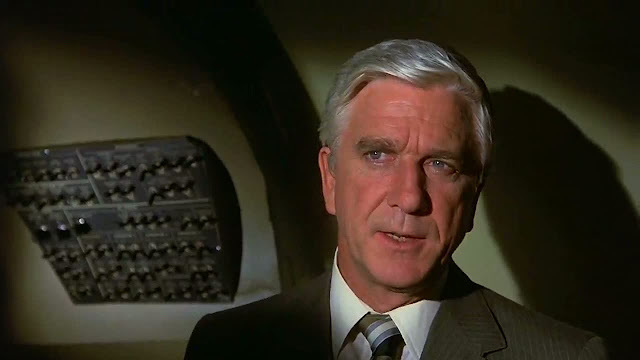 Even well-respected people sometimes go off on tangents and claim all sorts of things. However, prominent Rabbi Chaim Kanievsky has also claimed that the Messiah will come this Spring - prior to the upcoming Israeli elections. “It is written that in the days leading up to the Messiah, tzaddikim (righteous men) will begin to announce his arrival but some people, those who have not prepared for His arrival, will laugh at the righteous and the learned,” Rabbi Fish said, warning that it is forbidden to mock the righteous." Breaking Israel News, an Israeli news source, describes Rabbi Kanievsky as "one of the most learned and righteous Jews alive today". These are highly regarded, senior-level, Ultra-Orthodox Rabbis making these claims. Rabbi Matityahu Glazerson has also verified that the year 5779 appears to be significant concerning the coming Messiah. Rabbi Glazerson is most known for his work in Torah codes. Using a Torah program that searches for equidistant letter sequences in the Bible, Rabbi Glazerson did a search for relevant expressions concerning Kanievsky’s announcement. He noted that the term “יבוא משיח” (the Messiah will come) appears once in Leviticus 23 adjacent to the letters “תשעט” signifying the current Hebrew year, 5779. This singular revelation was accompanied by details. “There will be a yellow card and holy letters inscribed on a parchment like a Torah scroll, where they will be told in Aramaic who is King Messiah,” the rabbi continued. Aramaic is no longer spoken, but it is the language of the Talmud (oral law). “Then, they will have no choice and they will recognize the King Messiah. Let us be clear that these high-ranking Rabbis, learned as they may be, have no special revelation from God - despite what they might believe. It appears that through their vigorous study of the scriptures (Torah + Tanakh), plus a few "prophetic dreams and visions" (which I suggest did NOT come from God), they have come to the same conclusion that watching Christian believers have - the state of the world today is strongly indicative of the imminent coming of the Messiah. Have no doubt, satan is also WELL aware that the Messiah is near. Purim is the Jewish celebration which recalls the saving of the Jewish people from annihilation at the hands of Haman. 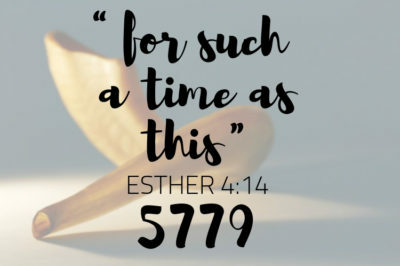 This redemption is recorded in the book of Esther. Purim is celebrated each year on the 14th of Adar (or Adar II in leap years - which this year has been confirmed). The Passover Seder is the traditional ritual which retells the story of Israel's redemption from slavery in Egypt. It occurs on the first night of Passover, as the 14th transitions to the 15th of Nisan. Since this is confirmed to be a leap year, Passover will be in April. The Israeli elections are scheduled, and will not flux with the Hebrew calendar. These are set to occur April 9, 2019. Interestingly, the recent news of Prime Minister Netanyahu's indictment has placed the upcoming election in turmoil. Will it be rescheduled? Rabbi Berland states that the Messiah will come immediately after Seder night (April 19-20). Rabbi Kanievsky states that the Messiah will come before the Israeli elections (April 9, unless postponed). There are also rumors circulating that the Messiah will come on Purim, I think from the title of Israel National News Article - "Rabbi: Messiah Began on Sunday, Will Appear on Purim, and Will Finish With Israeli Elections". When reading the article, Rabbi Chaim Kanievsky states the Messiah will come after Seder night, so I personally suspect the article was mistitled. Regardless of the title and the quotation, it does seem that there is some expectation of Purim as a possible "high watch date". Instead of focusing on the actual dates predicted, and whether or not they hold special "high watch status" to us as watchmen, I think what is more relevant is the overall atmosphere within the orthodox Jewish community. The "watching" Jewish community is electrically charged with anticipation of the imminent arrival of their Messiah. Fascinating, right? Let's talk about exactly WHO these ultra-orthodox Jewish rabbis are expecting to imminently appear. As Christians, we longingly await for Jesus Christ to call us up in the harpazo of the church, prior to the 70th week of Daniel playing out on earth. Orthodox Jews await for the first (and only) coming of a Messiah, who I suggest to you is the anti-Messiah - the anti-Christ. Remember that the Jewish people, for the most part, rejected Jesus as Messiah approximately 2,000 years ago. Thus, they are still watching, and waiting, for a Messiah. I think we will learn a lot if we examine how they believe they will identify him. Moshiach is not identified by his ability to perform earth-shattering miracles. In fact, he isn't required to perform any miracles at all (although the performance of miracles doesn't disqualify him either). If we see a Jewish leader who (a) toils in the study of Torah and is meticulous about the observance of the mitzvot, (b) influences the Jews to follow the ways of the Torah and (c) wages the "battles of G‑d"—such a person is the "presumptive Moshiach." If the person succeeded in all these endeavors, and then rebuilds the Holy Temple in Jerusalem and facilitates the ingathering of the Jews to the Land of Israel—then we are certain that he is the Moshiach. Is this sending big-time chills up your spine? 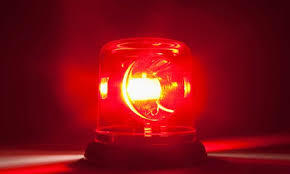 Red flashing lights? One of the principles of Jewish faith enumerated by Maimonides is that one day there will arise a dynamic Jewish leader, a direct descendant of the Davidic dynasty, who will rebuild the Temple in Jerusalem, and gather Jews from all over the world and bring them back to the Land of Israel. Any potential Moshiach must be a direct descendant of King David, as well as erudite in Torah learning. It should be noted that many people living today can trace their lineage back to King David. The chief rabbi of Prague in the late 16th century, Rabbi Yehuda Loew (the Maharal), had a family tree that traced him back to the Davidic dynasty. Consequently, any direct descendant of the Maharal is of Davidic descent. According to some traditions, G‑d Himself will rebuild the third Temple. According to others, it will be rebuilt by Moshiach; still others suggest a combination of the two opinions. Some suggest that there will be two distinct periods in the messianic era: first a non-miraculous period, leading into a second, miraculous period. The Sanhedrin—the supreme Jewish law court of 71 sages—will be re-established, and will decide on all matters of law. At this time, all Jews will return to full Torah observance and practice. Initially, there will be no change in the world order, other than its readiness to accept messianic rule. All the nations of the world will strive to create a new world order, in which there will be no more wars or conflicts. Jealousy, hatred, greed and political strife (of the negative kind) will disappear, and all human beings will strive only for goodness, kindness and peace. All the nations of the world will recognize Moshiach to be a world leader, and will accept his dominion. In the messianic era there will be world peace, no more wars nor famine, and, in general, a high standard of living. All mankind will worship one G‑d, and live a more spiritual and moral way of life. The Jewish nation will be preoccupied with learning Torah and fathoming its secrets. The coming of Moshiach will complete G‑d’s purpose in creation: for man to make an abode for G‑d in the lower worlds—that is, to reveal the inherent spirituality in the material world. Our prophets speak of the advent of a human leader, of a magnitude that the world has not yet experienced. His unique example and leadership will inspire mankind to change direction. Moshiach will be a man who possesses extraordinary qualities. He will be proficient in both the written and oral Torah traditions. He will incessantly campaign for Torah observance among Jews, and observance of the seven universal Noahide laws by non-Jews. He will be scrupulously observant, and encourage the highest standards from others. He will defend religious principles and repair breaches in their observance. Jews anticipate the arrival of Moshiach every day. 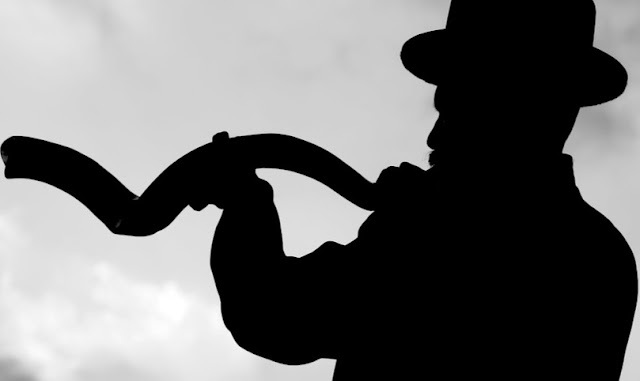 Our prayers are full of requests to G‑d to usher in the messianic era. Even at the gates of the gas chambers, many Jews sang “Ani Maamin”—I believe in the coming of Moshiach! In every generation there is a person who potentially could be the Moshiach. When G‑d decides that the time has arrived, He will bestow upon that individual the necessary powers for him to precipitate that redemption. The Talmud describes the period immediately prior to the advent of Moshiach as one of great travail and turmoil. There will be a world recession, and governments will be controlled by despots. It is in this troubled setting that Moshiach will arrive. There is a tradition that a great war will take place, called the war of Gog and Magog, and there is much speculation as to the precise timing of this war in relation to Moshiach’s arrival. There is a tradition that Elijah the Prophet will come to the world and announce the imminent arrival of Moshiach. However, according to other opinions, Moshiach may arrive unannounced. Elijah would then arrive to assist in the peace process. Some suggest that if the Moshiach arrives in his predestined time, then Elijah will announce his arrival; but if Moshiach comes suddenly, then Elijah will appear after Moshiach has come. Initially there will be no change in the world, other than a readiness to strive to create a "new world order"
The Messiah will rebuild the Third Temple, as an abode for God "in the lower worlds"
If someone doesn't meet every single one of these qualifications, he cannot be the Messiah. Why Did Israel Reject Jesus as Messiah? Have you ever wondered why the bulk of Israel rejected Jesus as their Messiah? Although Jesus literally fulfilled hundreds of Messianic prophecies, some remain to be fulfilled - the ones related to the Messianic Kingdom. Israel was expecting their Messiah to come in, fight off all their enemies, raise Israel up as head of the world, and establish his kingdom of peace ruled by Torah law. Basically, they were expecting the Millennial Kingdom to be put into place. Jewish Expectations - Messiah or Anti-Messiah? The coming time of tribulation and wrath is about Daniel's people (Israel) and his holy city (Jerusalem). All end times prophecy is focused there. Let's examine the Jewish expectations we noted above, and compare them to what we know is about to occur prophetically. According to Jewish tradition, the Messiah will arrive at some point before year 6000. Currently, it is year 5779 on the Hebrew calendar, although there is much speculation about "missing years". Regardless of the exact year we are in, rabbis seem to believe that we are now "close enough" - that the "time is suited". To be worthy for the Messiah to come, Teshuvah, or repentance (returning to the path of righteousness), plus faith, will bring the "Messiah". Orthodox rabbis are thus pleading with the Jewish people to repent and have faith. I don't think it would be difficult to convince them that they did a "great job" and so the "Messiah was well-pleased and came". Some messianic expectations suggest Elijah will prepare the way for the "Messiah"; others suggest he might appear after the "Messiah" comes. Whenever he arrives, Elijah is expected to appear before the Day of the Lord begins. Did you note the obvious connection between Elijah and the Passover Seder? Interesting, since one of the rabbis claims that the Messiah will appear right after the Seder this year. While Jewish tradition anticipates Elijah appearing once more, this passage may have already been completely fulfilled through John the Baptist. Another consideration is that Elijah (the real one) might be one of God's Two Witnesses, as described in Revelation 11. Yet another consideration, will the false prophet claim to be Elijah? Jesus describes a specific set of signs as marking the “beginning of birth pains”, which announces the “time of the end”. This collection of signs includes: nation rising against nation, kingdom rising against kingdom, famines, earthquakes in various places, terrors, and great signs from heaven (Matthew 24; Luke 21). Individually, these signs don’t signify the end. When the end DOES arrive, it will be very obviously marked by this collection of signs occurring all at once. The end will come like a flood, or a trap, indeed, and it will be obvious to all. [A little assignment for you - note the parallels of these signs to Seals 2,3,4,6 in Revelation 6 and the Gog-Magog war in Ezekiel 38-39]. The "Messiah" will arise out of this mess, at the very beginning of Israel's "birth pains". Surely it will happen just as Jesus said. Now here's an interesting expectation. Jewish tradition suggests that the Messiah will arrive in coordination with the Gog-Magog war. Let's review what this war is all about (for your own study, please read Ezekiel 38-39). “Gog” and the many nations intend to plunder Israel. At least, they think they do. In actuality, it's God who will raise Israel’s enemies up against her in such a way as to guarantee her destruction. Why? Specifically, so that He can prevent her from being annihilated. Are you confused? It’s impossible to overemphasize the significance that God Himself is arranging this war exactly according to His schedule. The sole purpose of the war is to provide an avenue for God to intervene supernaturally to save Israel for the sake of His own name. God breaks His silence with Israel for the purpose of announcing to an unbelieving world that He intends to fulfill His covenant promises! He will reclaim Israel as His people and His land. God mentions this purpose 70 times in the book of Ezekiel; four times in these two chapters alone to ensure He gets His point across. It seems that God will use Gog / Magog as a set-up for both Israel and the nations. It seems to be deliberately presented so that it can be interpreted by Israel as the final war (Battle of Armageddon). When God intervenes, Israel will look for the Messiah to inaugurate the Messianic Kingdom. A “messiah” will most certainly appear. Since I believe that the Gog-Magog war is at the very beginning of Daniel's 70th week, I would suggest that the antichrist will rise out of this war, claiming victory for Israel's salvation. This is the ultimate test for Israel - who will they accept as their "Messiah"? I would suggest, based on Jewish Messianic expectation, that the antichrist will be fighting FOR Israel, not against her. I would suggest he will be DEFEATING her enemies (likely, neighboring Islamic nations, plus anyone else who would dare attack her). Perhaps he will claim to be the victor of the Psalm 83 / Isaiah 17 / Ezekiel 38-39 wars. Jews are anticipating the Messiah to establish universal peace, with Israel at the head. I mean, we are too, but not until after the coming time of "tribulation". Following the rapture of the invisible body of Christ, the restraint on the antichrist’s rise to power will be released. I would suggest that the antichrist works to establish peace for ISRAEL, and for those who COOPERATE with her... but that the process will involve wars for those who OPPOSE her. There are a lot of different interpretations of how exactly the antichrist rises to power, which we won't get into here. Suffice it to say, that it appears the antichrist will most definitely rise to power within the first half of Daniel's 70th week (1260 days). This strong leader speaks “great things” and is “greater than his companions” (Daniel 7:19-20). At the midpoint of the "week", he achieves a global rule. This is the time of “greatest tribulation” for followers of Jesus Christ. (Matthew 24:15-16, 21-22) It will be a period of intense persecution and martyrdom for the tribulation saints. Did you catch that the beating of followers of Jesus Christ will be in synagogues, the Jewish places of worship? We understand from prophecy that 2/3 of the Hebrew people will perish, and 1/3 will be saved and enter the Millennial Kingdom. Do the two thirds that perish commit the ultimate blasphemy against God and embrace the anti-Messiah? I think we are all familiar with the term "new world order" by now. The world's elites don't even try to keep this goal a secret any more. It reminds me of 2 Thessalonians 2:7 we just mentioned above - the mystery of lawlessness is already at work (being set up). The "new world order" that the antichrist will establish will try to mimic the "millennial kingdom" expectations of the Messiah. These verses reference the "covenant of peace", which seems to feature heavily into the antichrist's political and religious platforms. Well here's an easy one. The Jews don't seem clear, and neither do they seem to care, whether or not miracles will accompany the Messiah. I find this rather surprising, actually! However, we know from scripture, that the antichrist will come in with "signs and wonders". These signs and wonders, permitted by God, will contribute to the overall atmosphere of excitement and awe surrounding the anti-Messiah. It is difficult to imagine that Israel would accept anyone as Messiah that doesn't have this Davidic bloodline. I understand that people like to speculate possible identities of the future anti-Christ; this heredity should be one of the considerations. The Jews are anticipating a fully human Messiah, descended from King David. Although He taught there, Jesus didn't set Himself up in the Jewish Temple to rule. Not only did Jesus not rule from their Temple, He prophesied its' destruction. How curiously "un-Messiah-like" of Him, according to the Jews. John sees and measures a future temple which will exist during the times of the end. In the books of Daniel and Matthew (Daniel 9:27, Matthew 24:15), we are told that during the yet future 70th week of Daniel, an event known as the “abomination of desolation” will occur to desecrate the Temple/altar. For this to occur, a Jewish Temple needs to be in place, or at the very least, an altar of sacrifice. We also know from Daniel that there will be Jews in Old Covenant relationship with God, and that they will be offering daily sacrifices. At some point during the 70th week of Daniel (likely at the abomination of desolation), a strong ruler (the lawless one, the antichrist) will cause the sacrifices to cease (Daniel 9:27). So thus, we know the sacrifices will be restarted before this stopping can occur. In 2 Thessalonians 2:4, we are told the man of lawlessness will “set himself up in the temple and proclaim to be god”. For this to be possible, there must be a Third Temple in place. The closer the Third Temple comes to being a reality, the closer we must be to other end-time events, including the rapture of the church. The Jews are anticipating a Torah rule from the Temple. As Christians, we also are expecting an iron-rod rule from the Temple, but not until after the upcoming time of "tribulation". It seems very clear that the Jews will seek to return to Torah Law, with its system of sacrifices and offerings. Whether or not these sacrifices will be pleasing to God or not depends on the heart - are they doing it out of remembrance of what Jesus has done, or out of rejection of Christ to attempt to atone for their own sins? I appeal to your memory that there will be sacrifices during the Millennial Kingdom. An iron-rod-rule sounds pretty Torah-like to me as well. It seems that God is not opposed to rules or sacrifices; but these things have never saved and will never save. Salvation is only by grace through faith in Jesus Christ and His blood atonement for our sins. After the fall of Jerusalem in 70AD, the Jews were scattered all over the world exactly as prophesied. In all of human history, no “dead” nation has ever been rebirthed. However, God’s word and promises stand eternal. In the 1800’s AD, the first whisperings of Zionism were heard. In the late 1880’s the first Aliyahs were made – the return of the Jews to their God-covenanted homeland. Return to Israel (then called Palestine) trickled in slowly but steadily. God, knowing the end from the beginning, brought beauty out of the ashes of the Jewish Holocaust. Israel was rebirthed in a day on May 14, 1948… after not existing for approximately 2,900 years. Orthodox rabbinic tradition suggests that prophecy can only exist in Israel when it contains the majority of the world’s Jews (over 50%). Note that this is NOT stipulated in the Scriptures, but seems to be a tradition of man. Regardless, the coming anti-Messiah will most certainly be looking to fulfill this expectation as he gathers the people of Israel home. 1. The Messianic King will arise in the future and restore the Davidic Kingdom to its former state and original sovereignty. He will build the Temple and gather the dispersed of Israel. All the laws will be re-instituted in his days as they had been aforetimes; sacrifices will be offered, and the Sabbatical years and Jubilee years will be observed fully as ordained by the Torah. "then, the Lord, your God, will bring back your exiles, and He will have mercy upon you. He will once again gather you from all the nations... Even if your exiles are at the end of the heavens, the Lord, your God, will gather you from there, and He will take you from there. And the Lord, your God, will bring you... (Deuteronomy 30:3-5). These words, explicitly stated in the Torah, include all the statements made by all the prophets. It is critical for any messiah figure to focus on ingathering of the exiles to the land promised to Abraham, Isaac, and Jacob. The resurrection will be through God’s power (only God has the power to give and take life), to fulfill His plans and purposes. It is at this point that he will claim to be "god". This antichrist religion is bad news for the tribulation saints, who are about to become tribulation martyrs in vast numbers. This calls for the patient endurance of the saints indeed. It is both fascinating and devastating to watch Orthodox Jewish messianic date-setting. Fascinating, because there is a true longing to be reconciled to God. Devastating, because they are so prepared to accept the WRONG MESSIAH. Jesus is most certainly near, even at the doors. This year? Definitely a strong possibility. This month? Also definitely possible. We Might Be Closer Than You Think. Check out these Major Prophetic Milestones! I believe that the anti-messiah will attempt to parallel what Jesus did at His first coming, in addition to appearing to fulfill what Jesus will do at His second coming. The Jews did not foresee the two-part role of the messiah (Suffering Servant / Conquering King), and were legitimately baffled when the Messianic Kingdom wasn’t inaugurated at Jesus’ first coming. In this way, the anti-messiah will appear to clear up the confusion and will be received. God will use all things for the good of those who love Him and are called according to His purposes (Romans 8:28). All things includes the antichrist, his false religion, and the time of tribulation! Jesus Christ will reign victorious! This is a great article and insight into just how much things are speeding up. God is NOT in favor of their Temple rebuilding efforts, but will apparently allow it to proceed for the purposes of the Tribulation and to ultimately bring the Jews to a saving knowledge of the truth. Oops... I meant 363 *AD*. It was nearly 300 years after the destruction of the Second Temple in 70 AD. Keep in mind that Bibleprobe website also contains mystical Catholic stuff, such as visions, eucharistic adoration and the like. While the linked article is solid and discusses historical events, I would advise you folks to avoid lurking around that site after you read the linked text. I'm confused why some are saying Passover is tomorrow? I'm concerned about false prophets misleading those who are watching for Christ's return. For those who say a certain date is from the Lord, should we not call out the falseness when it has passed and not listen to such individuals anymore? 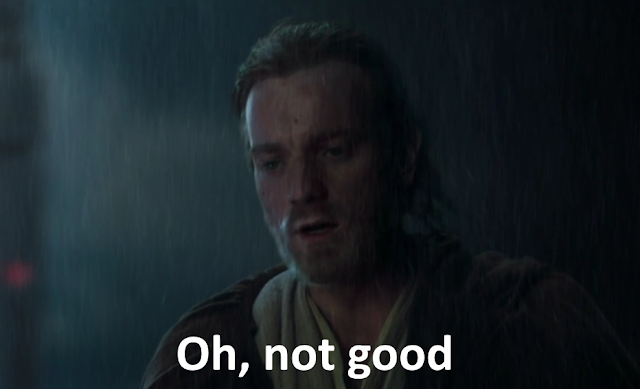 Do you have any posts on that? It's not just he Rabbis making false predictions and hearing things that are not of God. Thank you so much for your study and insgight, and sharing it with the rest of us! Very very interesting. I always thought the Jewish nation was going to turn to the true Christ after the battle of God and Magog. This was a different perspective. Blessings to you! 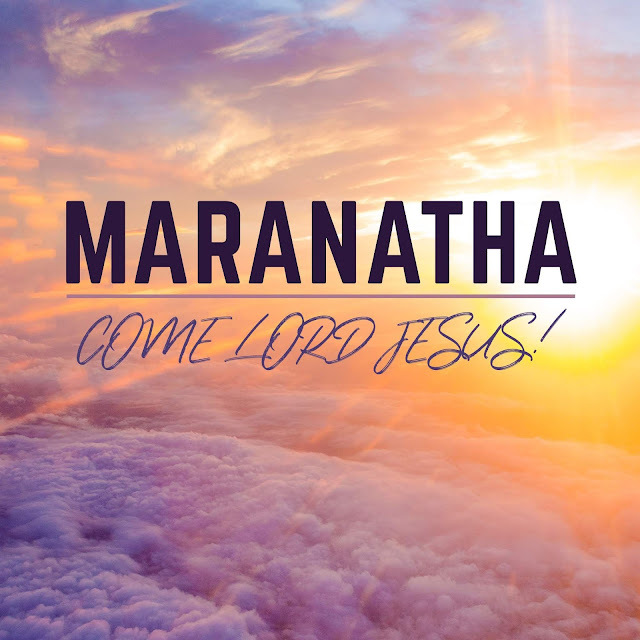 Maranatha! @Charissa, I agree and strongly encourage brothers and sisters not to predict exact dates. At the same time, I think we can reasonably speculate if things seem to be lining up in a certain way if we approach it with humility. Purim, Passover, First-Fruits, Pentecost - all of these have my attention. Regarding Passover tomorrow: there are essentially two calendars. The first is the widely used Jewish/Hebrew calendar generally regarded as more likely. It has Passover on April 19. However, there are also calendars coined "observable calendars" reliant on observing things like the lunar phase and harvest cycle. According to one of these, Torah Calendar, Passover begins tomorrow. Passover must be in the Spring and is the 14th day of the 1st month. Spring started yesterday, so there is some warrant for this, but it would be unusual. Which puts Passover and Purim on the same day...wow. Also Matthew 24:20 "But pray ye that your flight be not in the Winter (last day yesterday) neither on the Sabbath day (Friday). I just googled "leap year 2019 Jewish" and it replied 2019 isn't a leap year. I watched a video by Steve Monnette (sp?) and he said that the Torah calendar has been the most right regarding all the blood moons falling on feast days, so I am inclined to believe it. 2019 is not a leap year because that's a Gregorian year. 5779 IS a leap year and adds an extra month as month 12. Month 12 becomes month 13 so that 5779 will have 13 months. The ecclesiastic calendar (or Torah calendar) doesn't use names for months -- only number. The civil and Torah calendar are offset by about 6 months. It's a little confusing if you're not used to the differences. According to Torah calendar, Purim (Lots) was one month ago and we are getting ready for Pesach (Passover). Brexit falls on an interesting day. Perhaps Brexit will not be postponed after-all? And we also know that the antichrist will come to power from the European Union, which is the Revived Roman Empire. In May and June there are the elections for the European Parliament and I think that it is very likely that the antichrist will be chosen as a strong leader during and after these elections. I think that the Brexit is playing a crucial role for the antichrist coming to power. See also https://www.raptureready.com/2019/03/20/brexit-daniels-final-empire-britt-gillette/ "Brexit and Daniel’s Final Empire :: By Britt Gillette". Are these Jewish Rabbis who are announcing the arrival of a Messiah dabbling within the occult and are they Freemasons? That could clarify a lot. I'm in agreement that the future Antichrist will come to power from a revived Roman empire. Is the European union right now the current revived Roman empire? I'm not so sure.Also what about the 10 Kings? I believe that very soon we could see all of this come to fruition. We shall see. It could be that during a time of crisis and war 10 EU nations will group together and form the 10 King military alliance. Is the Brexit the fuse to blow up the current world order? Yeah, it could very well be a war that gives birth to the revived Roman empire with the 10 kings. I believe that Emmanuel Macron wants to create a 10 nation army if I'm not mistaken. Could the Ezekiel 38 war be the catalyst to bring this about? Or an attack from Russia? I don't know. Emmanuel Macron is a good candidate for the Antichrist but I personally believe he could very well be one of the kings. I believe the antichrist will be Roman, is alive and is most likely involved in politics. He... whoever he is, will not rise until the church is gone so we won't know his identity. Now to see if we are truly close, what is inside Donald Trump's peace plan? Since Donald Trump is compared to Cyrus, is it a possibility that what is included in this peace plan is the go ahead for the Jewish people to build their third temple? Can it be possible it will divide Israel? Who knows. But I personally believe that the peace plan will fail and probably cause a war between Israel and her surrounding neighbors. The antichrist will come later on the scene to make the failed peace plan even stronger and then... The 7 year tribulation period will begin. We shall see how all of this ties together prophetically. A war in the Middle-East during the running up period of the elections for the European Parliament in May? That will the antichrist the opportunity to grab power. Whoa! Look at Trump's announcement - Another biblical sign! Definitely exciting times. So is the one word religion Jewdaism? I think we are also starting to see a falling away. I recently saw a once professing Christian publicly denounced Jesus as the messiah. He and his wife decided to join the Bnei Noach branch of Jewdaism and summit to the Mitzvoth laws. No the Francis Chan issue. Times are definitely interesting. Keep Jesus your center. He's the true messiah. John 14:6 Is it these noahide laws that cause the tribulation Saints? Brent, check out #Israeli News Live YTC Steven and Jana DeNoon have revealed a whole lot of in-depth information on the Noahide Laws and how they will be implemented by the modern pharisees. Best "go-to" source available right now, watch and share! MARANATHA! Guess Francis Chan has been hanging around with the IHOP crowd, Todd White, Benny Hinn, etc.. Todd Friel explained on his radio show Wretched Radio. Oh no! I thought Chan was solid. What is he thinking?? Check out #Servus Christi YTC he's dealing with the apostate church leaders. He got also Francis Chan thoroughly dissected. Very compelling. It seems like 80% of preachers have gone apostate and have come up with new religions....to go right along with the RCC and Noahide Law (signed by all US Presidents since Reagan). I stay clear of all assembly buildings on Sunday. I miss the fellowship, but the teaching is poisonous. I remember this being your last month (re: funding). I am thinking of and praying for you/yours while we remain looking up. Charlie, When we lived in Alexandria we attended and served at New Hope Church in Lorton. IIRC, they are connected with some excellent ministry initiatives and were a church founded on solid teaching. Keep in mind that I'm a church planter. I hate seeing anyone avoiding "assembly buildings on Sunday" (church) for fear of poisonous teaching. Not to criticize, not at all! Just a friendly reminder from another who shares your concern BUT knows there are no perfect churches as long as we attend. There are good churches out there -- it's sometimes a struggle to find the right fit for us. Wow, Gary - God has really given you insight in this regard. Very interesting perspective regarding Jewish acceptance of the anti-Christ as Messiah and as to WHY they will do so. It also fits in with Jack Kelly's articles at Grace Thru Faith (referenced above). Thank you for taking the time to outline it all for us. Query: any one know of similar studies on the moslem (intentional spelling) mahdi? I'd be interested in side by side comparisions: Jewish Messiah, al mahdi, and Anti-Christ. Brings to mind the phrase, "the devil is in the details". Stephanie, thank you again for such a deep study and information! This just looks like we're on the brink now... Btw did you already check #Israeli News Live YTC and what they revealed about the Talmudic Jewish (phariseeic) world dominante during the coming tribulation and the implementation of the so called 'Noahide Laws' for all non-Jews? If you didn't do yet, please go there, this is vital information to still wake up the church! Much love to you, Jesus is coming, MARANATHA! Then THANK YOU to Stephanie! We're always so interested in getting to the info that we oftentimes skip over the written by... apologies. We know how much time and effort goes into works such as this behind the scenes. Know that it is VERY MUCH APPRECIATED and that your efforts mean a great deal to those of us anxiously awaiting every scrap of info we can glean from sources such as this! Again, blessings! "The coming of Moshiach will complete G‑d’s purpose in creation: for man to make an abode for G‑d in the lower worlds—that is, to reveal the inherent spirituality in the material world." Boy, you ain't kidding! That explains the need of the AoD. The Holy of Holies in the Third Temple as the abode for god? Not with a small "g" it ain't! Into the fiery lake of burning sulphur with you! Glory to the G-d of our fathers through Christ Jesus our Lord! I'm still reading but great job thus far Stephanie! "If we see a Jewish leader who (a) toils in the study of Torah and is meticulous about the observance of the mitzvot, (b) influences the Jews to follow the ways of the Torah and (c) wages the "battles of G‑d"—such a person is the "presumptive Moshiach." Interesting that this criteria for recognizing the "Messiah" is currently being fulfilled with alacrity by many members who claim to be the body of Christ right here in the USA. The Hebrew Roots Movement and Torah-Observant movements are growing and doing this exact thing. I remember reading a blogpost by a Jewish woman in Israel who was longing for the "Messiah" and everything she wrote I could relate to deeply from my heart. And it was so striking how similar we felt, with the only difference being that she was longing for a messiah she believed had never come and I was longing for the true Messiah's return for the Church. It makes my heart literally ache. We are so similar in our longings and how it affects our everyday lives, the choices we make, even how we feel. And yet we are worlds upon worlds apart. Please keep praying for the Hebrew people. Hillary, your comments really hit home with regard to wanting what WE WANT versus wanting what God wants for us - individually and as a group. Indeed, an entire people group (i.e., the Jews in this instance) - and for centuries! And, how by our very insistence on having things our own way (including the "God will just have to accept me as I am" folks) we completely miss the mark. We need to pray for the nation of Israel, the Jews, and all the other folks deceived into wanting to do things their way. The Rangers in will implement the No white laws for all Gentiles to follow. The first and second break the law already if you worship Jesus, which is idolatry, and if the second is Blasphemy, by claiming Jesus is God. Beheading of the punishment. This is how Christians will die during the Tribulation. Ha ha unknown.. I take the "No White Laws" should have came out as "Noahide Laws"
Be excited, He's coming soon for His Bride! How great, and awesome, and merciful, and powerful and righteous He is! The joy! I can't wait to be with Jesus forever! Let's not forget though the many brethren being slaughtered all over the world, need to pray for them that they have the strength to overcome and maintain their faith in Jesus! The rabbis say the same thing every year. And how, pray tell, will this Moschiach deal with billions of Hindus, Moslems, Buddhists, animists and Christians who may resist his rule? He will have to exterminate them, naturally. For some reason, this part is left out time and again. Let's be careful when we are presented with rabbi's opinions. A few years ago, the Christians were caught up with Rabbi Kaduri's supposed vision and meeting with the Messiah. This man was a master Kabbalist, and you know what that means. Would God contact a practitioner of witchcraft? I personally think the name he left on the note could possibly be the first name of the Anti-Christ. Do not be shocked if his name is quite similar to the Hebrew name 'Yeshua'. A time of unprecedented DECEPTION is coming fast and we better hear the warning. A few weeks ago I saw in my dream the very red sky, many people outside looked up and said this is the end of earth. They were very scared. And in response to Jim's comment below I don't think anyone was agreeing on any dates and I certainly don't think the writer of this article was saying anything was sure. I got a lot from the article but this site expects us all to confirm what we hear through scriptures. Even if they say it. God bless and also I think Jim is smart with his opinion. But I am just saying that this site is the best as far as fairness to scriptures and they love if we find out things on our own. Even If it is against they're opinion. They will look at whatever you show and make corrections as necessary. Again God Bless Israel and God bless this world! Please! !